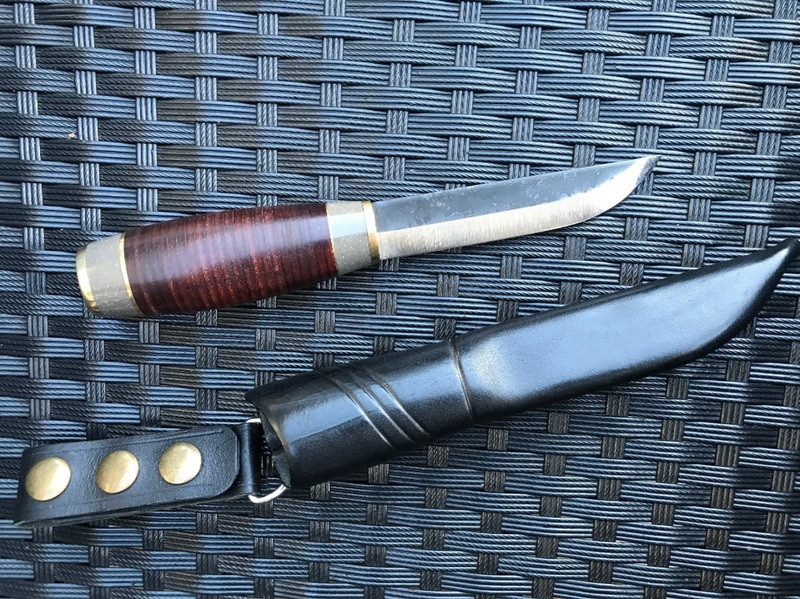 Carbon steel Kuikka blade 67mm by balcksmith A. Kuikka Finland. green stabilized cross cut curly birch (masur birch). Price 200 euros and shipping. 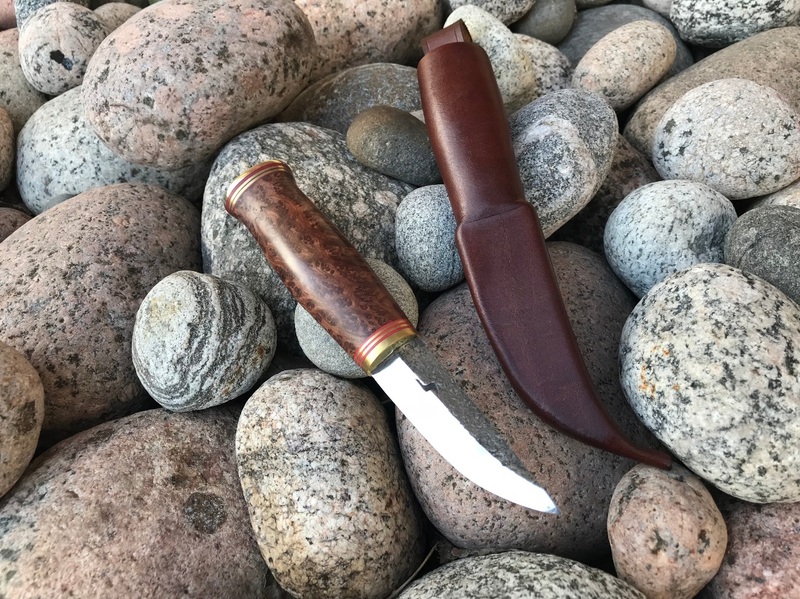 Carbon steel 95mm puukko knife. 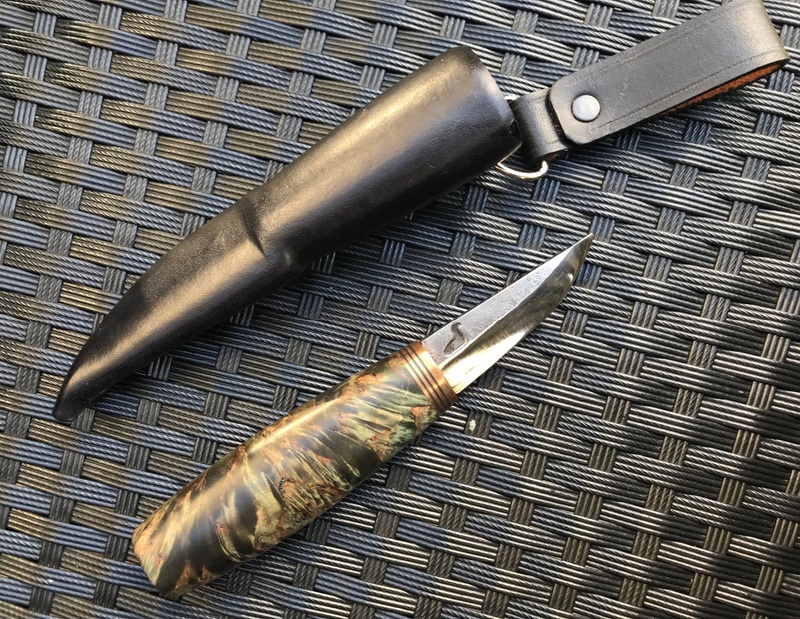 Leather handle. 180 euros and shipping. Three (3) knifes order and Free Shipping. Tracked shippings outside European Union 40 euros. Inside EU 30euros.